To round off our lovely trip to Provincetown, Mom and I decided to stop at Lewis Brothers Homemade Ice Cream. After all, we wanted to leave this beautiful community on a good note, and there's nothing better than a delicious cup of homemade ice cream. Plus, we didn't want to drive two and a half hours back home with dry mouths. We needed to have this. Lewis Brothers is small, but very cute and clean inside. Unfortunately, I didn't get a picture of the interior because there were too many people around. There was a large sign displaying all of the ice cream/frozen yogurt flavors and prices, and because they do so much business, there was a rope that you had to stand behind so that you could get your ice cream in an orderly fashion. After deciding what we wanted, I went to the counter to place my order. The gentleman there was quite energetic and friendly. Mom chose a small cup of White Russian ($3.50), and I chose a small cup of Mudslide chip ($3.50). He told us that they were excellent, and showed us how he uses actual liquor to flavor the ice cream. The total came to $7. As the ice cream shop started to fill up, I paid the excitable gentleman and he wished us well. Mom jokingly said that perhaps he's been tasting the liquor-filled ice cream all day to ensure that it is of the highest quality. We found an empty bench across the street and sat down to try our ice cream. We each took a spoonful of each other's cup first, and almost died when we did. The flavor was OUTSTANDING. Mom fell in love immediately. Besides being very rich and creamy (it definitely tasted homemade), she'd never come across an ice cream that tasted as close to the flavor described as this one. Her White Russian tasted exactly like a White Russian drink. If an outside person had tasted this and didn't know what it was, their guess would be White Russian. It was that exact. The same could be said for my Mudslide. It even had little chocolate chips inside, which some frozen mudslide drinks often have. It was extremely delicious and we were both oohing and ahhing out on the bench like a couple of morons because we were so enthralled with the taste. 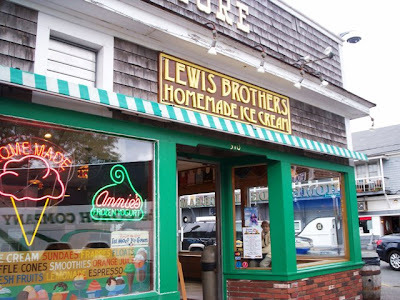 Lewis Brothers makes all of their ice creams in the store daily. 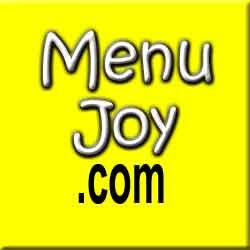 They also serve sorbets, sherbets, sugar free ice cream, low fat ice cream, and a variety of fat free, soft serve yogurts. Mom and I are heartbroken that they are so far away because we would definitely like to try more of what they have to offer. When we finally drove out of Provincetown, we talked about all the cute things we saw and all the good food we ate. On the top of the list was Lewis Brothers, and we will definitely be making a stop there the next time we decide to take a trip to the very tip of Massachusetts. 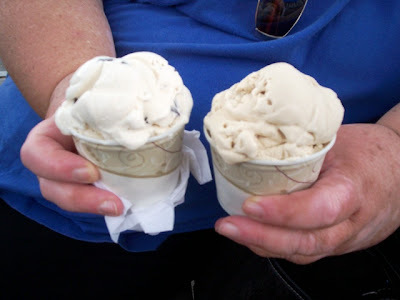 Lewis Brothers Homemade Ice Cream is open from 11 a.m. to 6 p.m. on weekdays, and 11 a.m. to 9 p.m. on weekends. They close for the season the third week in October.